The first case of jointed goatgrass resistant to imazamox, the active ingredient in Beyond herbicide, has been confirmed in Eastern Washington. A team of Washington State University scientists, led by Dr. Ian Burke, publicly announced their findings in the January 2017 issue of Wheat Life magazine. 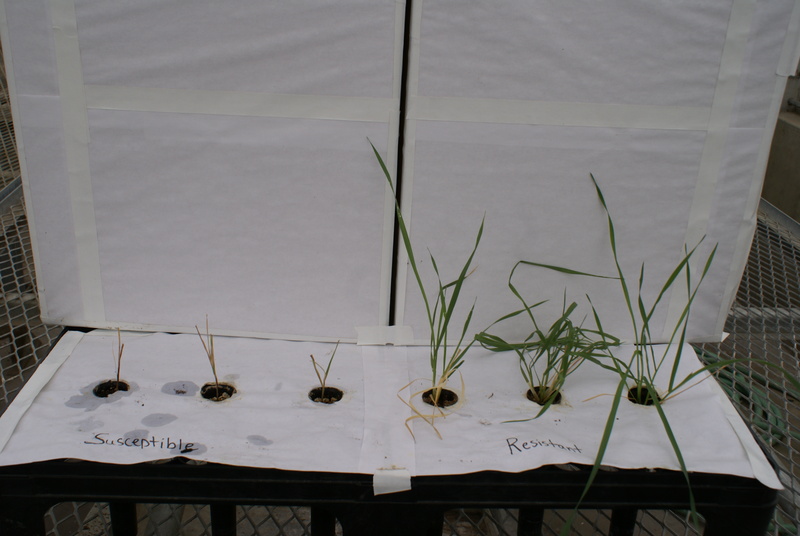 The resistant biotype is 144 times more resistant than susceptible goatgrass plants. 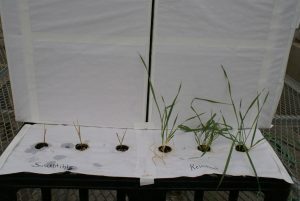 To see even a little response in the resistant plants, researchers had to use 6x the labeled use rate of Beyond. Jeannette Rodriguez, a WSU graduate student, is working to identify the mechanism of resistance. It is known that resistance in this instance was not the result of a cross between Clearfield wheat and jointed goatgrass. Growers and fieldmen should scout jointed goatgrass patches in fields that they manage and submit samples that they have concerns about to the WSU Herbicide Resistance Testing Program. The Extension publication “Strategies to Minimize the Risk of Herbicide-resistant Jointed Goatgrass” provides information on the control of jointed goatgrass with an emphasis on prevention and management of herbicide resistance. For more information, contact Dr. Ian Burke at icburke@wsu.edu or 509-335-2858.